The net buying action was boosted after the Lunar New Year, focusing mainly on blue-chips on the market. 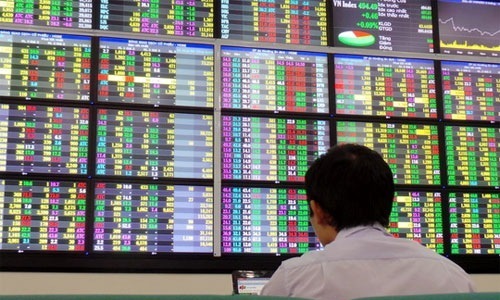 The contribution of foreign investors is one of the factors that helped Vietnam stock market increase strongly since the beginning of 2019. Only in the first two months of the year, VN-Index increased more than 100 points, equivalent to more than 11%, approaching 1,000 points. Foreign investors also boosted their net buying in the whole market with a total value of over VND 4,300 billion, of which the stock market bought more than VND 3,800 billion. More than half of this figure comes from trading after the Lunar New Year. Since the beginning of February, despite encountering the Lunar New Year holiday in the first 10 days of the month, the cash flow from foreign investors has become one of the key pillars contributing to the rise of the VN-Index. The total net buying volume of foreign investors as of February 25 was nearly 3 times higher than that of January with a value of more than VND 3,000 billion. In particular, the stock market alone, net buying volume reached nearly VND 2,700 billion. For example, HPG shares of Hoa Phat. Once a "alien" name in the last months of 2018 and early 2019, HPG has returned to the portfolio of foreign funds with a net buying volume of millions of shares per session. Particularly in 11 trading sessions after Tet, HPG was net bought by foreign investors with nearly 20 million units worth over VND 600 billion. This move helped HPG, from a stock being sold more than 10 million units in the first month of the year, returned to the state of net buying since the beginning of 2019. Apart from HPG, many other blue-chips like VNM, MSN, VCB or SSI also returned to the "race" with the cash flow from foreign investors. This development is somewhat contrary to what happened in 2018, especially in the last months of the year. Foreign investors' withdrawal is one of the reasons that made the market wobble in the second half of the previous year. According to statistics of Rong Viet Securities Company (VDSC), the total of 2018 foreign investors kept net injecting nearly VND 43,000 billion into the market, but most of this amount only poured into some big deals like NVL's. (VND 3,500 billion), VHM (VND 28,500 billion) or MSN (VND 10,000 billion). Through the matching method, foreign investors net sold throughout the year with a value of VND 16,000 billion. "This partly explains the less positive movement of the general market," the VDSC report wrote. Judging by 2019, the securities company said that the gradual reduction of monetary easing and fiscal stimulus packages is happening globally, potentially causing foreign cash flows into marginal markets. As Vietnam will not be as high as previous years. However, VDSC also believes that there is still a positive factor from the possibility that Vietnam's stock market will be upgraded from the marginal market to the secondary emerging market. "The story of promoting the Vietnamese market to emerging markets may be a positive point to attract the interest of investors at some time of the year. This will cause price and market liquidity to fluctuate. more ", VDSC commented.